After the War in Heaven, the fallen were cast out and bound to Hell…until they found ways to escape. Determined to continue the war, they and their demon offspring have set their sights on human beings. Armed with the ability to directly influence a person’s emotions and driven by an unquenchable hatred, they are determined to prove God wrong by corrupting, controlling, debasing and destroying his favorite creations. And they’ve gotten very good at it. 4.6 rating on Amazon! Sure thing if you're looking for action with a supernatural flavor! See for yourself in THE FALLEN ANGEL HUNTERS, available on Amazon. This weekend only, $.99 on Amazon! THE FALLEN ANGEL HUNTERS, 4.8 Amazon rating. Great supernatural action-adventure. 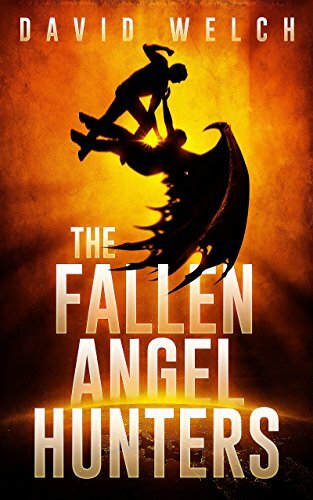 THE FALLEN ANGEL HUNTERS, now available on Amazon.